flexibility to communicate important health information to their patients without compromising accuracy or patient confidentiality. At Pairaphrase, we understand that operating a hospital or healthcare practice in an ever-expanding world means finding translation solutions to language barriers. However, we also understand it’s not that simple. 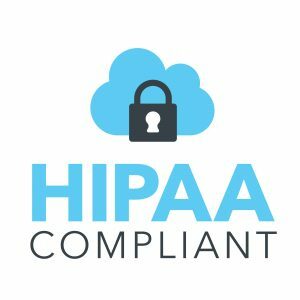 The requirement to remain compliant with strict regulations such as HIPAA makes the adoption of any translation solution—including professional translators—a challenge in the medical industry. Far too many hospitals and clinics rely on a patient’s family members to translate for them, which often results in misinformation. This pertains to medication errors, misinterpreted discharge instructions, wrong procedures, informed consent issues and more. This could lead to fatalities. Not only would the aforementioned scenarios mean serious implications for your patient’s safety, it could also affect the business aspect of running your clinic or hospital. Misinformation due to erroneous medical language translation could result in lawsuits, increased readmissions and billing confusion. As a healthcare professional, its easy to understand how this would affect an already over-stretched staff. Another large business concern is lack of confidentiality, which has serious privacy implications for patients. With patient confidentiality and HIPAA a serious concern for healthcare providers, we understand that there is zero room for error when it comes to security. With Pairaphrase translation software for healthcare and medical, we give you the flexibility to translate information for your patients in ways that best suit your process. We’ll present you with a few scenarios below on how our various features will help you. Pairaphrase has a secure, confidential File Translator built in that allows you upload a medical document (including a scanned document) and securely translate it into your patient’s native language within seconds or minutes. The output file will even include the same formatting and images from your original file, saving you hours of time. With our system, you can simultaneously translate multiple documents and various types of files. This helps you avoid delays and maintain momentum in your office. Translate medical history forms, informed consent papers, discharge papers, pamphlets, prescription information and more. Pairaphrase and our built-in File Translator uses the highest standards in security, so you can rest assured when it comes to patient confidentiality. 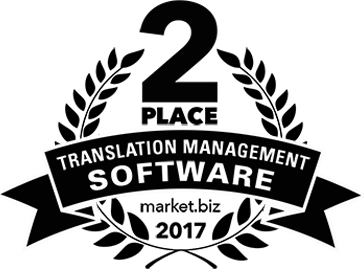 We offer the best in medical document translation software on the market. Pairaphrase includes a text-to-speech translation feature that allows you to securely upload text by way of a document and receive an audio output in the patient’s native language. These synthetic voiceovers are available in 18 different languages. Pairaphrase can be used in conjunction with an interpreter and cut your translation costs significantly. As a healthcare provider, you can enter the information that needs to be translated, and Pairaphrase will securely translate. However, Pairaphrase will indicate if there is a less-than-perfect confidence level for the accuracy of a specific part of your translation. Show this to your certified medical interpreter and they can make a simple edit in the translation. Side-by-side comparison of the input text and output text will help your interpreter spot any potentially confusing language that could result in erroneous communication with a patient. This cuts down on the amount of time and money spent on using an interpreter for translating medical documents. When you edit a segment of text, Pairaphrase will automatically translate repetitions of that phrase within the document and across the batch of files it was uploaded with. Whether you upload a single file or you upload a batch of files together, Dynamic Machine Learning will reduce your translation time significantly. Once you get started with Pairaphrase, it will memorize the medical terms and phrases that it translates. This means that if your interpreter needs to edit a specific medical phrase so that it makes more sense in the target language, the system will remember this correction. In effect, when you make future translations, the phrase will be remembered so that you don’t need your interpreter to make that correction again. When you choose our Paris or Hong Kong plan with a minimum commitment of one year, we will assist you with the development of your healthcare organization’s translation memories. 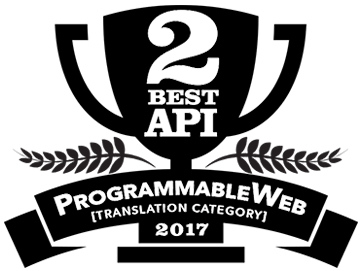 This means we can significantly reduce the amount of human involvement required for your Pairaphrase translations. If you prefer to work within Microsoft Office programs, Pairaphrase has a plug-in that gives you the ability to translate without leaving Microsoft Office! All translations are synced with your Pairaphrase account so that Translation Memories are applied and stored. Dynamic Machine Learning will also work in the background.